This year, Danish comics culture is seeing the revival of the Ping Awards, an industry award last given back in the Nineties. Once a hall of fame prize, it is now awards cartoonists in five categories in the manner of the Angoulême Fauves. 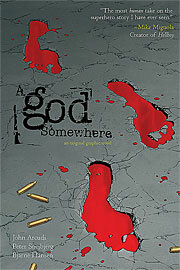 This year focuses on comics published in 2011, and five Danish comics have been selected in their particular category. 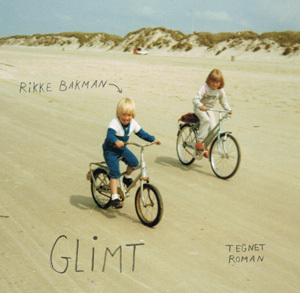 Although I didn’t participate in the nomination process, I was involved in organizing the event, and was part of the jury that selected Rikke Bakman’s Glimt as Danish Comic of the Year. So I’m biased, but I can say immediately that it was very hard indeed to select a winner. Here are the five nominees — for my money not just the five best Danish comics of last year, but the strongest showing in Danish comics for a long time. Technically a Danish edition of the American edition by DC/Wildstorm, Almægtig is drawn by Denmark’s hardest-working man in mainstream comics showbiz, so let’s call it Danish too. Snejbjerg finds in Arcudi’s smart script about an ordinary man who gains godlike power a perfect match for his sparse chiaroscuro style. 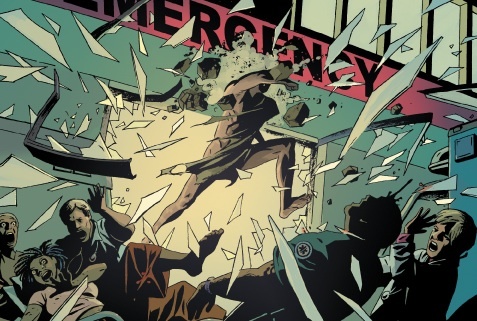 Arcudi’s elegant mix of human incident and big ideas challenges Snejbjerg most of the time to work with nuance and precision in place of the pyrotechnics that are otherwise the stock in trade of American genre comics. An intelligent and unpretentious take on that most hackneyed of genre exercises, the “realistic” superhero story, congenially visualized. 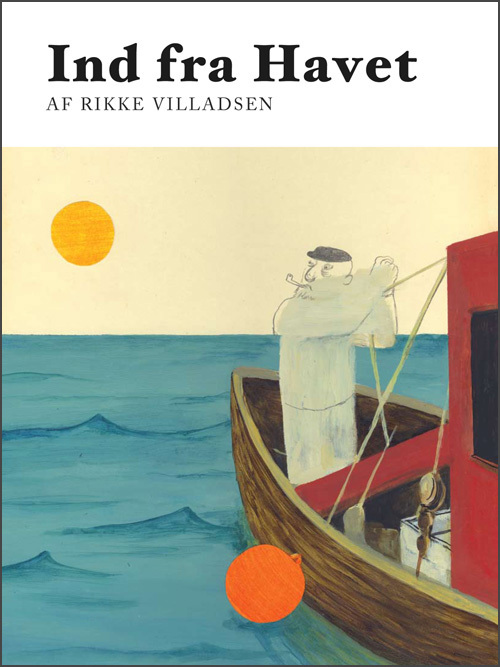 A beautifully realized suite of childhood recollections woven into the narrative framework of a single summer’s day spent at the Danish west coast when the author was six. Evocatively drawn in colored pencil, Glimt conveys a gripping sense of being there, as a child, with the glimpses of the adult world beyond the curve of age. Full disclosure: this short comic appears in an anthology edited by yours truly, but that is not Krarup’s fault! “Nostalgia” documents Krarup’s visit with a well-known Danish collector of comics and Disneyana at a time when his life is coming apart after a divorce. A keen observer and deft writer, Krarup here presents his most affecting human portrait yet, framing the protagonist’s personal crisis in terms of his collector’s yen for order. This surreal seafarer’s yarn does not conceal its epic ambition to fathom the mysteries of parenthood and mortality, but couches it in humor alternately delirious and down-to-earth. Villadsen mixes overwrought Freudian symbolism with situational comedy and flashes of occluded, yet felt, autobiography to fashion personal mythology on the page that transcends its obvious inspiration in Anke Feuchtenberger’s uncannily smudged pencil-and-charcoal rendering to become a compelling statement on life in its own right. One of Denmark’s greatest cartoonists of the last twenty-five years, Werdelin still retains her sharpness. A couple of years ago, when she returned to her long-running daily strip after a hiatus, she adopted a looser, sketchier approach that alleviates certain of her weaknesses as a draftswoman and gives the strip a liberated feel unseen in its earlier iterations. It still delivers the same scabrous social satire though — wickedly funny because it’s true. This piece is a slightly edited version of my contribution to Paul Gravett’s International Best of 2011 LIst. Here are my Danish Comics of the Year for 2010 and 2009. Mostly unrelated: I just realized that Peter Snejbjerg has a wikipedia page in English (of course!) but not in Danish!!! Gah! I am so sick of the Danish Wikipedia, it’s embarrassing – people don’t seem to care, huh? Same with Wiktionary, Danish has 7220 words… which is a ridiculously small amount, actually it’s so small that it makes the Danish wiktionary completely useless. Comicwiki, on the other hand, is getting better.